The 14th epsiode of the APPetite PR App Marketing podcast features an interview with Chris Ruff, President & CEO of UIEvolution, Inc.. UIEvolution is a global leader in connected services for Mobile, Tablet, TV, and Automotive applications. UIEvolution has a proven track record with clients like ESPN, Toyota, AT&T, Microsoft, Samsung, Hikari-TV, and many Fortune 500 companies. 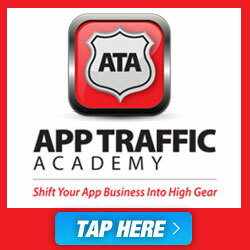 Do you have an interesting app marketing story or special insight into app-specific marketing? We’d love to interview you. Email us. Interview with Aron Aharonoff of GreatApps.com. Interview with Molecube about their app marketing experiment. Interview with Jeff Hughes, author of Android Apps Marketing, Secrets To Selling Your Android App.